This is such a simple idea, but it is highly important. If you have an accident with another car, you will need to exchange personal details. You may also need to draw a map so your insurance provider or the police have the exact details of the accident. Avoid relying on your memory, and carry a substantial amount of pen and paper in your car. While most people carry a mobile phone with them at all times, a quick trip to the shops might mean the phone is left at home. Take a phone with you, even on a short journey. You can use it to make emergency phone calls, take photographs of the accident scene and use maps to find local services that you may need after an accident. Put that fire out yourself, before your entire car is set alight. An engine can easily catch on fire and you will need to think fast and be prepared. 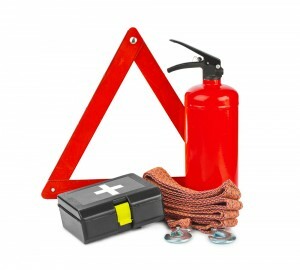 Some fire extinguishers are made specifically for cars, and they are the right size to carry around with you. If possible, educate yourself on how to use one properly, so you are prepared in advance for an emergency that requires you to use it. While you are learning about fire safety, gain some first aid skills too. These can be required when you spend time in the outdoors, not just when you have an accident in your car. First aid kits can be made especially for travelling, and should be stocked up with new items when they are used up or exceed the use-by date. Long trips, especially in remote areas will require you to carry fresh water. You never know how long you will be stranded beside the road in the dust and the heat. A plentiful supply of fresh water will be perfect for drinking, but also for washing injuries and placing in your car if it needs it. For advice, parts and service contact Gearbox and Diff today.